Christian Ministries Major. Biola Ethnic Advancement Team. First-Gen Student. Peer Academic Advisor. These are just some of the words that describe Raquel Hamm, a junior, transfer student from the San Fernando Valley. Within just two semesters of being at Biola, she is one of the most active members of the Biola community. Hamm describes herself as one that adapts to how the world is. Her views and everything she knew before were challenged when she came to Biola. Through these new experiences, she felt the need to start sharing her heart with her voice. “Don’t give up. There is hope in the end,” states Hamm. Her passion is for people. She wants to be an advocate for those who are marginalized due to race, socio-economic background and other factors. She wants to be an example in order to encourage students of color that they can pursue higher education. As a peer academic advisor she wants to help students develop their passions. 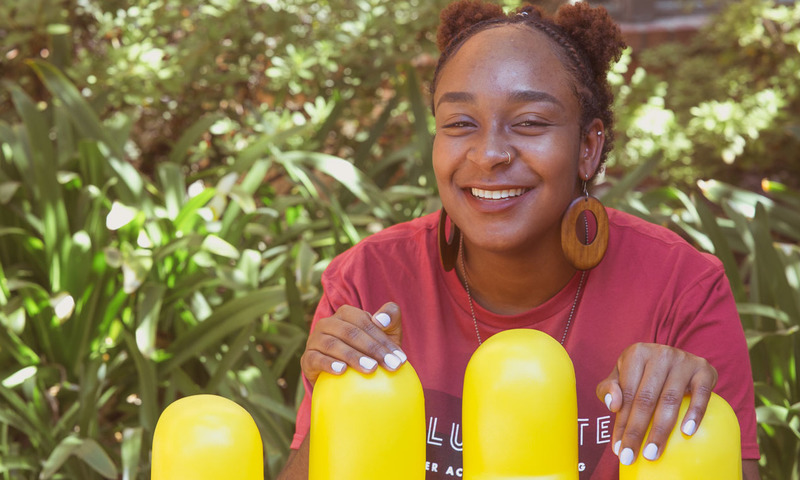 As part of the Student Enrichment and Intercultural Development (SEID) department, which is located in the Mosaic Cultural Center, she wants to provide resources to those who don’t have them. “God, you’ve called me to be enough,” shares Hamm. Around her room, you can find sticky-notes serving as words of encouragement and to remind her that she is enough. Despite her insecurities and her family background God called her to be enough. One day she realized sticky notes didn’t cut it and she wanted a more permanent reminder: a tattoo. On July 10, her birthday, she tattooed ‘enough’ on her wrist. Horizontally it reads ‘enough,’ but vertically, it is a cross. Her tattoo serves as a constant and permanent reminder that she is enough. Not only does her tattoo serve as a reminder to her, it is also a conversation starter. She is able to share her story with others and tell them no matter what, they are enough and they can make a difference. Do you have a passion for academic success and personal development of students through promoting diversity? Check out the Student Enrichment and Intercultural Development department in the Mosaic Cultural Center. Visit their website for different ways to get plugged in.